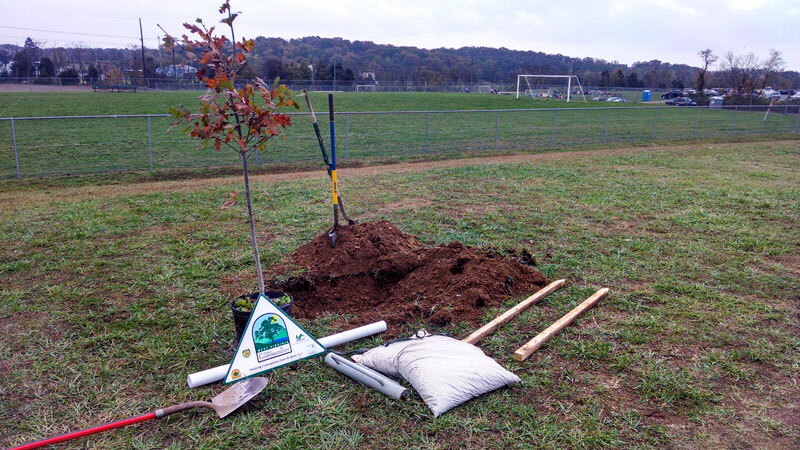 Martinsburg-Berkeley County Parks & Recreation planted 12 shade trees at Dupont Soccer Complex on October 19th, 2013. Although the volunteer turnout was small, these maples, oaks, sycamores, and other shade tree species will have a huge impact on the park – reducing stormwater runoff pollution, providing critical shade for parents of soccer players, increased aesthetics, and more! 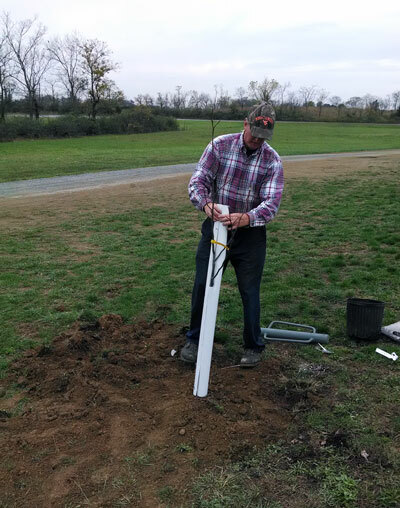 Volunteers included the Program Coordinator and Soccer Coordinator for Martinsburg-Berkeley County Parks & Recreation, as well Herb Peddicord, Chesapeake Bay Forester for WV Division of Forestry and CTree Liaison for this project. A maintenance plan has been developed by Steve Catlett wherein the trees will be watered each week by the maintenance crews as they remove trash from the park and mulch will be donated annually by a local farm. Steve Catlett, Executive Director for Martinsburg-Berkeley County Parks & Recreation and CTree Project Leader, said that it is “good to see that as a result of this project some quality trees being planted within this complex.” To this point, the huge soccer complex, all 28 acres, had very minimal tree canopy. 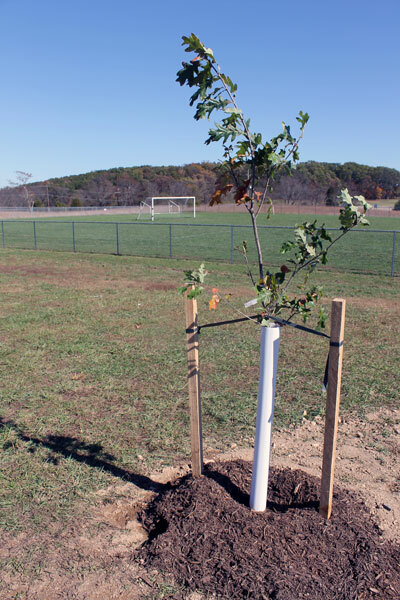 This project is the first of many tree plantings that can be held at the soccer complex.